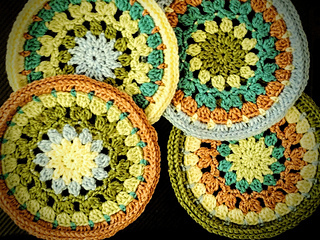 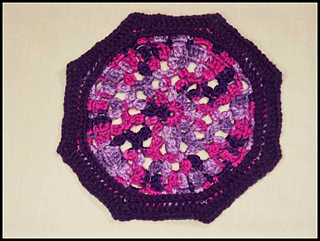 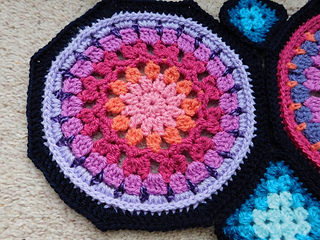 Easy granny octagons and squares joined with a slip stitch join. 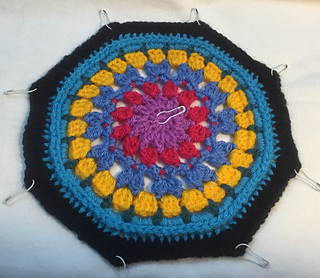 Use up your scrap yarns - I used about 1050 meters total (1150 yards) with 300 meters (328 yards) of Main Color (blue) for border and join. 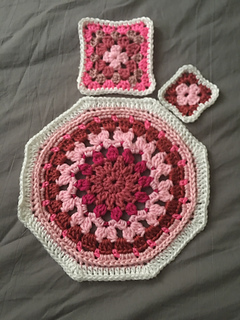 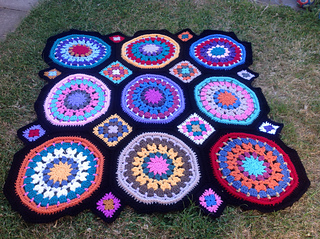 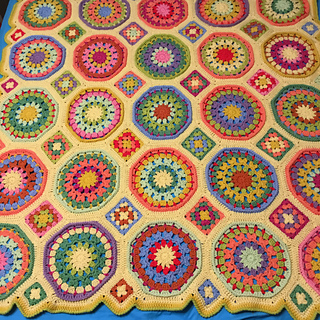 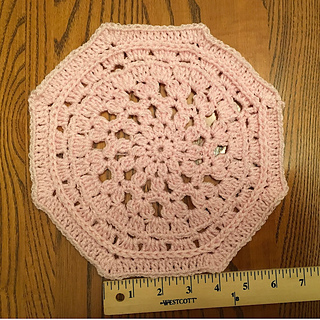 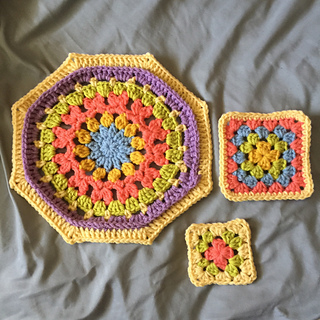 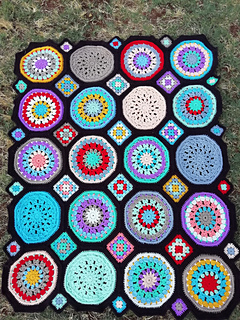 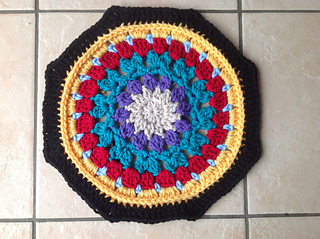 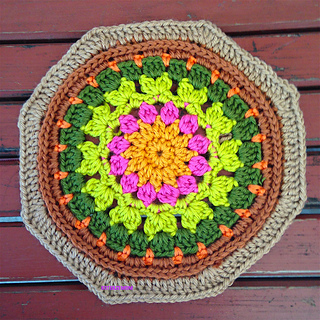 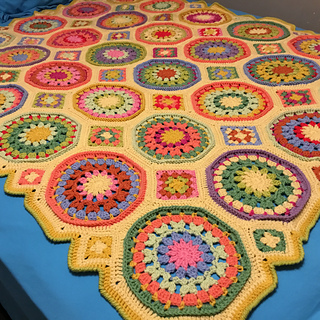 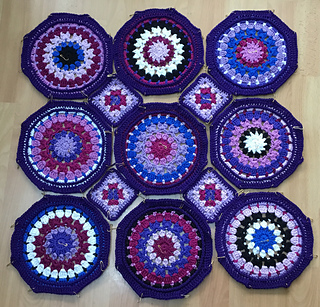 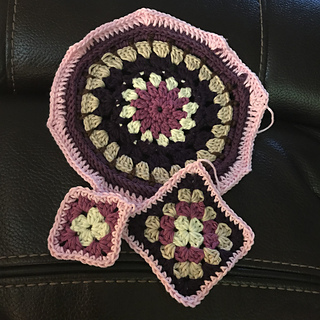 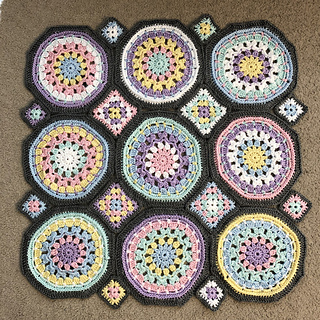 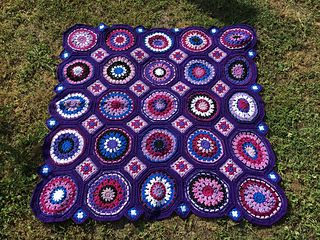 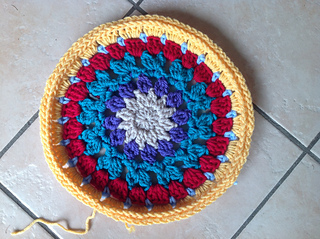 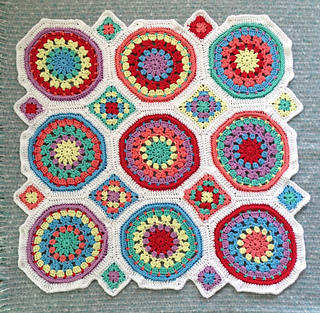 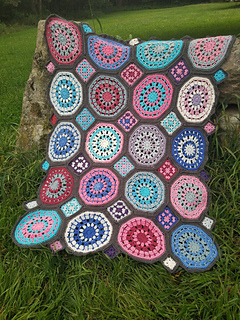 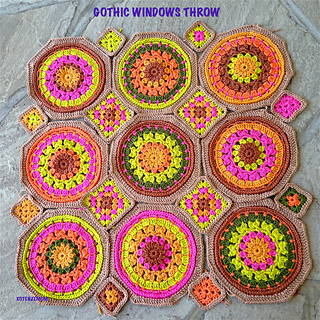 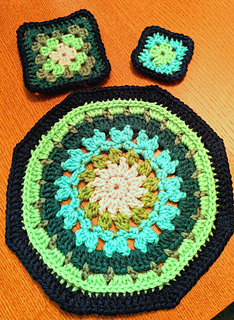 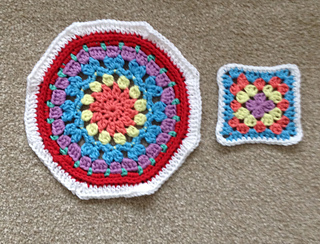 Nice size as shown for a baby blanket, baby floor mat, or lap throw, but can be expanded to any size square or rectangle, just leave the granny squares between the circles and the tiny grannies winking along the edges. 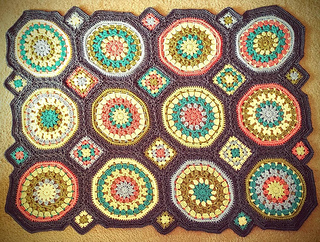 Pattern support on Julie Yeager Designs Board.